My UK childhood was set against a background of cobbled streets, ration books, terraced housing, milkmen's horses, coal dumped in the cellar, fish and chips on good days, bread and dripping on not good days, free school dinners (at lunchtime) and low paid footballers. A retired aerospace engineer, I have worked in the United Kingdom, Europe, the USA and Australia, every location being a blessed and treasured experience. I have always had an interest in Science Fiction and where it places humankind within a universe we are only just starting to understand. Animals, including well behaved pets, and all the natural world, are a particular love of mine. Family get-togethers, walking, travelling, gardening and writing occupy most of my waking hours. 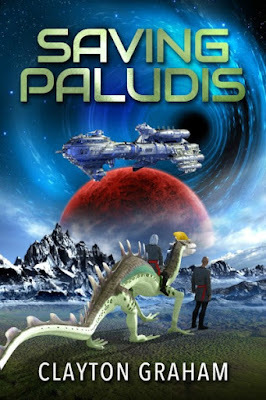 Clayton Graham: Saving Paludis is based on a handwritten piece I penned many years ago, when writing a novel was the stuff of dreams. Events occur light years away, at the extreme of man’s colonized universe, and that in itself spurred my imagination. I always find that the characters within the story dictate where it is going and what happens next. In essence, it is the characters who formulate the tale! The novel delivers futuristic technology, alien political intrigue, and high-octane, paranormal action. What exactly happens when a subjugated alien race plots over centuries to regain their planet? How will this interact with the growing conflict between Earth authorities and Paludis? Just what is the mysterious threat which apparently emanates from this outlying verdant planet? Saving Paludis is full of strong characters, but perhaps the strongest of all is Serpentine, a seer born of unusual circumstances on a slum of a planet at the fringes of our universe. He is endowed with certain powers, which make other humans fearful of him, yet also garners a respect which most of us would envy. He feels more akin to the indigenous species of Paludis than he does to his human brethren. The book deals with many issues but conflict, camaraderie, coexistence, love and tragedy reign supreme. Clayton Graham: Saving Paludis is available in both print and e-book formats. Clayton Graham: Not really. I write when time permits and am lucky enough not to be lost for words on too many occasions. In my writing, I like to keep the action treadmill turning, but always have contemplative moments to let the reader mull over the plot and perhaps have a coffee or tea or whatever. Clayton Graham: A feeling of intrigue and suspense that will linger in their minds. A feeling of being transported to strange yet believable new worlds. Above all, an empathy with the characters and maybe even a wish to help them on their journey, and forge their future. I love to share my characters’ adventures with readers. Describing new worlds. Interacting humans with other-worldly circumstances. I want readers to spread their own wings and share the journey. IAN: How much of the book is realistic? Clayton Graham: Had to answer this one as my genre is Science Fiction. Realistic is only bound by the reader’s imagination [and that of the author] and is only a point in the passing of time. Who knows what will be realistic in two thousand years? My work usually combines Sci-Fi with a hint of the paranormal. I love writing about different worlds and how people would live and interact within them. It's an escape, but it's also an infinite universe, so anything is possible. We don’t know all that much about our cosmic surrounds – they remain as mysterious as ever – and that is the appeal of Science Fiction. Clayton Graham: Of all the books I have read, those by HG Wells stand out. This author was a visionary with a remarkable insight into the future. A close second would be Robert Louis Stevenson. ‘Treasure Island’ is still a favorite of mine – a wonderful adventure in a world far from our own. IAN: If you had to choose, which writer would you consider a mentor? Clayton Graham: Not one but a handful. I have always had an interest in Science Fiction and where it places humankind within the universe we know and love. I treasured the ‘old school’ science fiction written by authors such as HG Wells, Jules Verne, Isaac Asimov and John Wyndham – well before many were made into films. I must add Arthur C Clarke also, a master of broadening the ability of the human mind to grasp the possibility of new concepts within the universe. 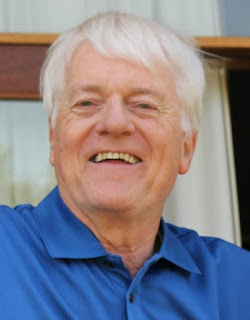 Clayton Graham: As an Indie author the most challenging part of writing is the marketing. 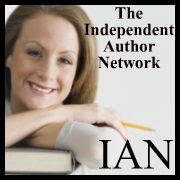 The challenge of creating plot and dialogue pales into insignificance when compared to choosing the plethora of marketing arenas which exist to assist the independent author. Lots are better than none, but quality is the crux. Clayton Graham: Nowadays I read a lot of Dean Koontz. He is a master at making the paranormal believable. IAN: Do you have any advice for other writers? IAN: Do you have anything specific that you want to say to your readers? 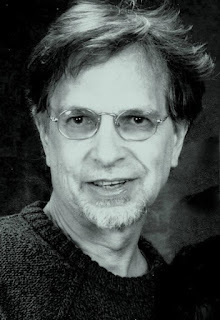 Clayton Graham: I want to see what happens to mankind, to combine humans with other worlds, stir, and see what happens. What is our future anyway? Where are we going [if anywhere]? And I really want to share the journeys! Clayton Graham: My next release will be a sequel to Laura and Jason Sinclair’s somewhat terrifying alien adventures in first novel, ‘Milijun’. No title yet, but the book is well underway and, all things going well, will be published in 2019. Then again, it is quite possible I will release another short story anthology first, similar to ‘Silently in the Night’.